Cool Mini or Not zeigen neue Previews für ASoIaF. Alchemists have created numerous different potions and concoctions, but none have had such an impact on the battlefield as the one simply known as “the substance.” It is a sticky, green liquid that is highly volatile, having to be transported with the utmost care, lest the entire batch go up in flame. And flame is just what “the substance” produces. Such a conflagration it creates has been dubbed Wildfire. When “the substance” is placed into glass orbs and hurled at the enemy, it can quickly turn the tide of battle, the orbs breaking and a conflagration quickly ensues. What good is plate armor or toughened leather against flame? 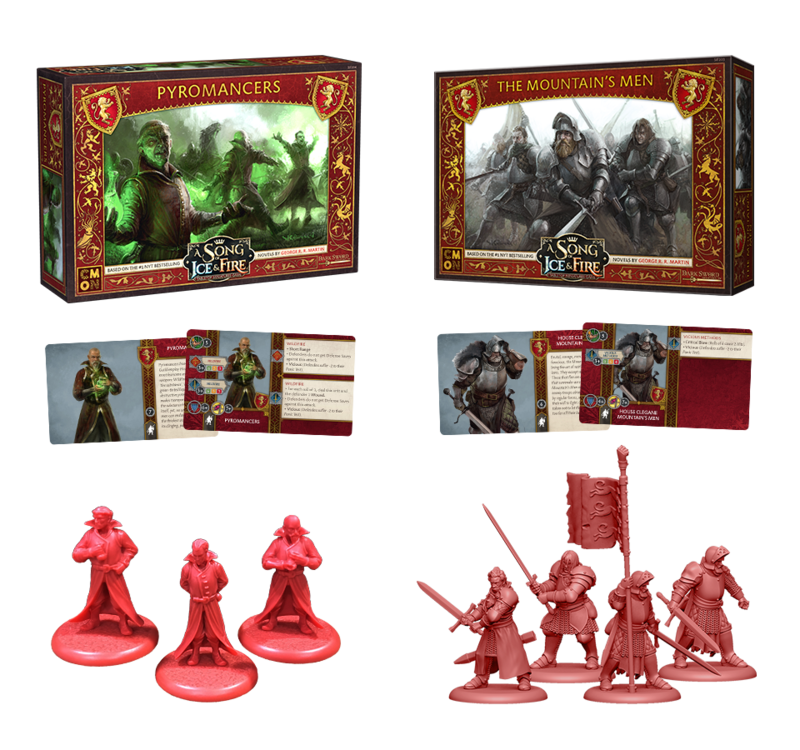 The Pyromancers Unit Box contains 12 pyromancers ready to take their new weapon to the enemy. Wildfire doesn’t allow for Defense Saves versus it, as it burns with a seemingly unquenchable flame. Truly a horrific way to die. The Mountain’s Men aren’t so worried about the science that goes into creating new weapons of war. Give them something to hit the enemy with and that’s good enough for them. Drawn from the lowest dregs of society, they represent the lows that the Lannisters will stoop to in order to gain an advantage. In combat, the Mountain’s Men will take no prisoners and will gladly cut down anyone that tries to run. Every fight with the Mountain’s Men is a fight to the death, as surrender is not in their vocabulary. 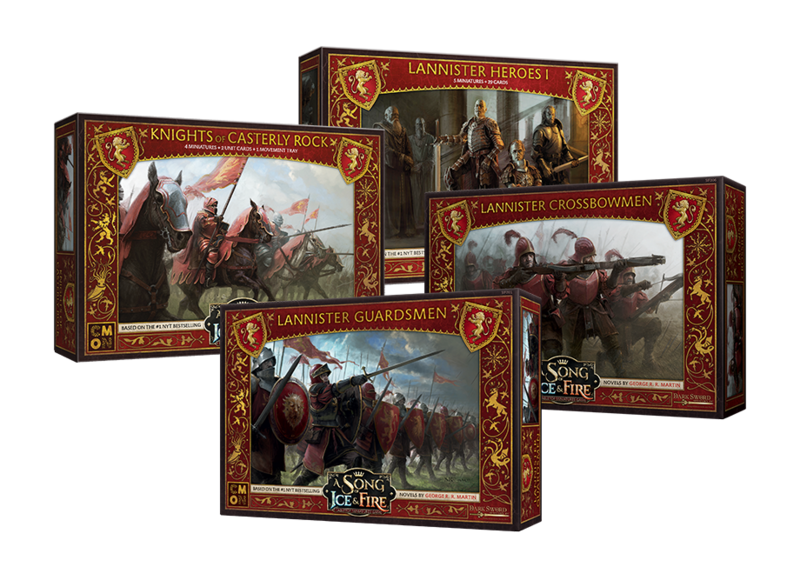 The Mountain’s Men Unit Box has 12 rough and rugged men. And their strength with their greatswords is almost legendary, possibly inflicting two Hits with each swing. The Umber Greataxes are a very flexible unit on the field. While they don’t overly-excel at any one role, they can easily shift between several different roles as the battle dictates. They have a moderate melee attack ability and have decent armor. They can plug gaps in battle lines, stand against enemy forces, or be sent on rescue missions to hold objectives in equal measure. 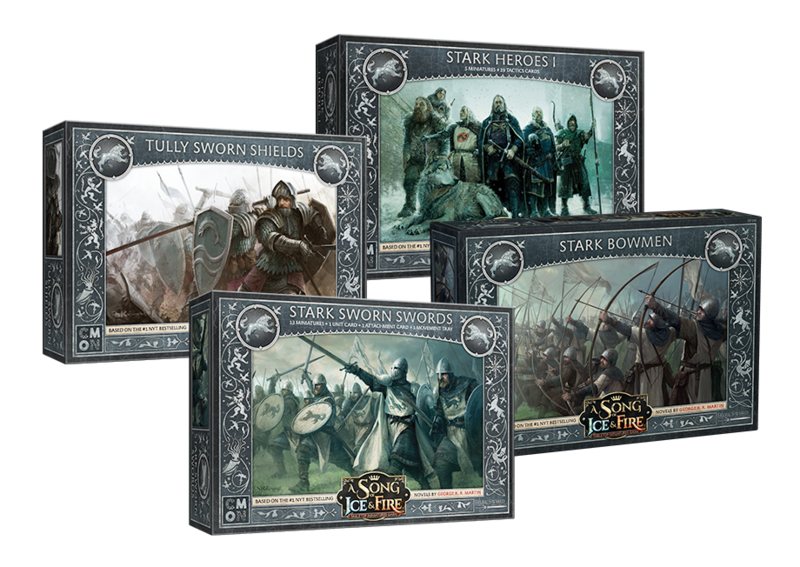 The Umber Greataxes Unit Box contains 12 miniatures that any Stark commander would find useful when battle is met. The Umber Berserkers, however, do have a specialized role out on the battlefield. Smart commanders will aim them at the closest enemy unit and simply watch the carnage unfold. To say that these men are hungry for battle is an understatement. They’re starving for it. And when they meet the enemy lines, they feast with reckless abandon. They work themselves into such a frenzy that even the death of their comrades in no way shakes their determination. In fact, they almost cherish it, fighting even harder. “More for me” is the attitude they take. And when they hit, they hit hard, causing enemy armor to crack and break under the strain of their blows. 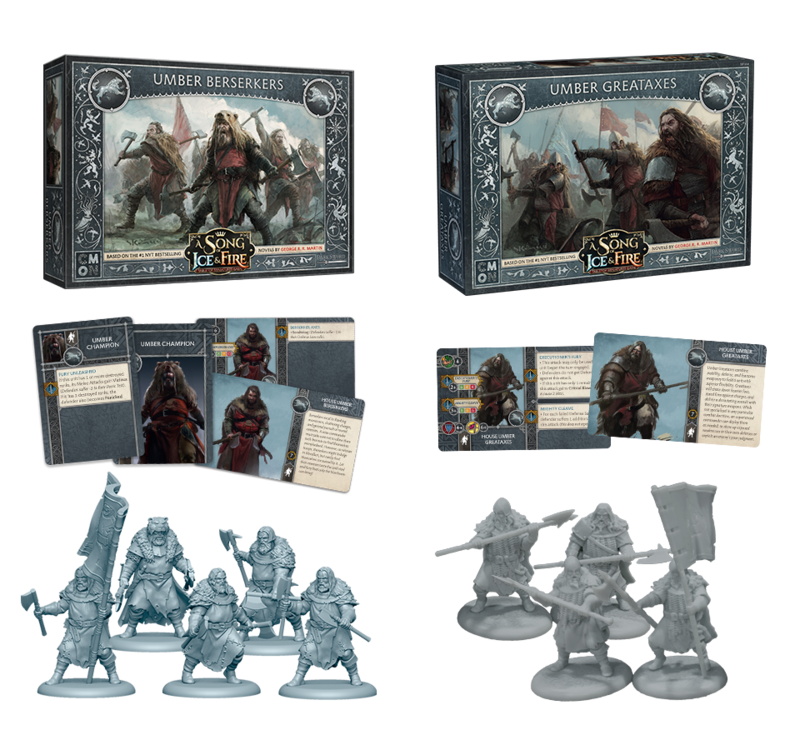 The Umber Berserkers Unit Box contains 12 regular soldiers and one Umber Champion Unit Attachment, and they’re ready to get their blades wet with enemy blood.